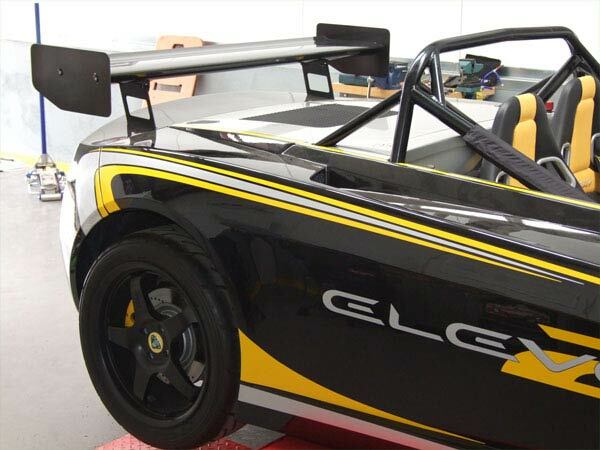 1650mm wide 300mm chord Motorsport wing mounted to Lotus 2-Eleven on Reverie mounts. Our universal carbon undermount tabs are shown on the underside of the wing. 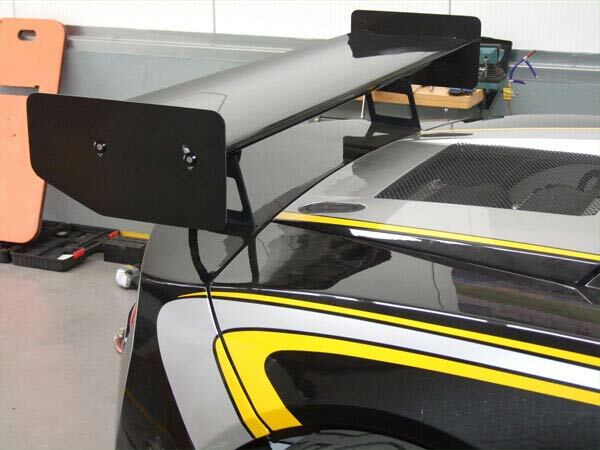 R01SB0271 - Universal Carbon Rear Wing (Straight) - 300mm Chord x W1700mm No drop mount tabs.